'Wideboy' Brushed Carbon Construction - The WIDE BOY is ideal for those wanting a shorter board to surf yet requiring extra volume and stability. 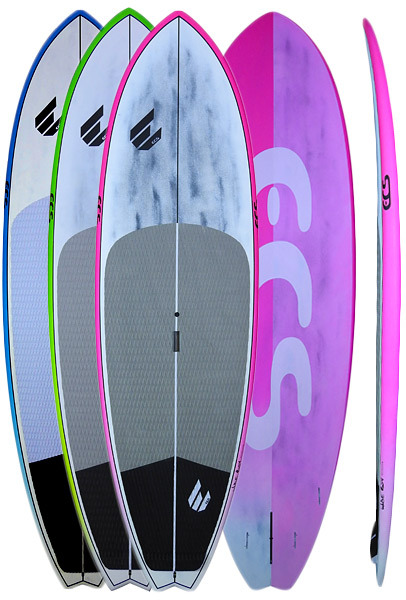 The board has a wider nose and center point for early entry into the wave yet turns with ease thanks to the pulled in swallow tail. The volume and stability is further enhanced with a wide flat deck yet features medium performance rails and single into double concave bottom maintaining speed through turns. A fast, super fun board that is a true performer.